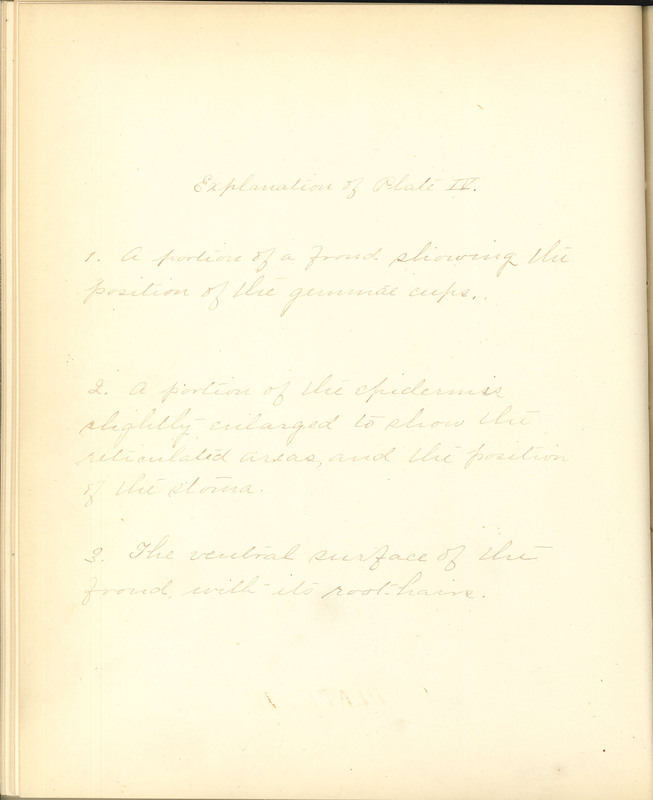 Explanation of Plate IV. 1. A portion of a frond showing the position of the germinal cups. 2. A portion of the epidermis slightly enlarged to show the reticulated areas, and the position of the stoma. 3. The ventral surface of the frond, with its root hairs.